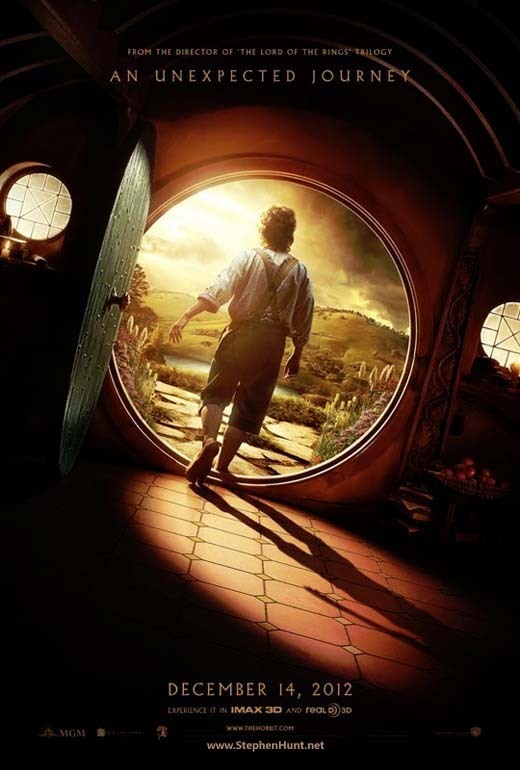 And the view through the round window is… the new poster for The Hobbit: An Unexpected Journey. It’s actually very similar to the game artwork for the old Hobbit game on the ZX Spectrum. Ah, now there was a fracking classic in the making. Much like Mr Tolkien’s own lovely work. I was just yakking on FaceBook with some nice people about how my Alan Lee-illustrated Hobbit volume would be one of my first go-to books in the event of a house fire. « Scifi book ‘Sliding Void’ #1 in Amazon charts!